Independent contractor or part-time employee that is passionate about improving the health and well-being of others while providing the tools for lifestyle changes. Office space is available for rent early morning hours, evening hours and/or weekend hours. 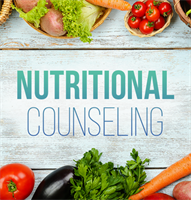 We are seeking a health and wellness professional to work out of our Nutrition Counseling office at SP Fitness. As an expert in food and nutrition, people depend on you to guide them towards better eating habits to prevent ill-health. Applicant must utilize scientific methods and determining the most suitable nutrition plans. He/She must be qualified and well-versed in relevant matters and skilled in suggesting personalized solutions in nutrition plans and education, exercise recommendations, and behavioral modification advice. -High personal energy and enthusiasm for helping people!